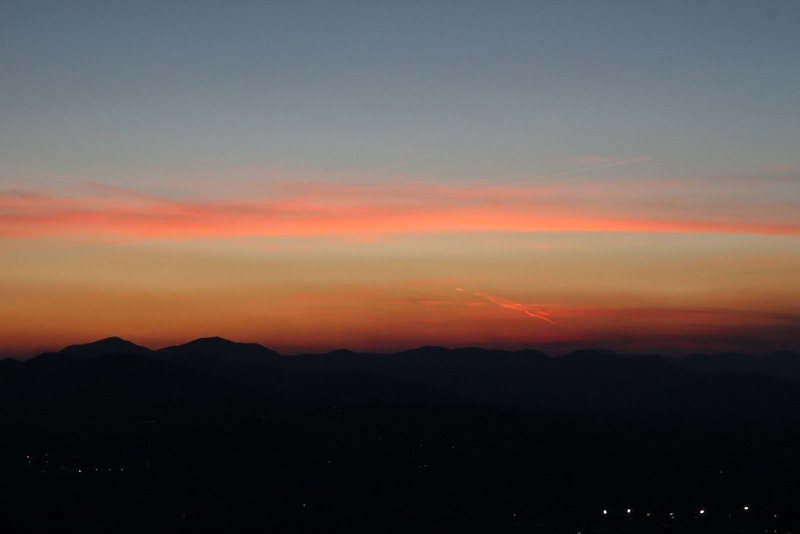 There are a hundred great places to watch the sun go down in Asheville, NC, but one of the best is halfway up Town Mountain. It’s steep and winding and there’s hardly anywhere to stop, but if you plug “378 Town Mountain Road” into your GPS, you’ll be guided to a mailbox on the left-hand side of the two-lane street. Just past that mailbox is a narrow gravel shoulder where you can pull off. A clearing in the trees here gives way to a phenomenal view of the Blue Ridge Mountains, layered in the inky blues and purples of a watercolor painting. It’s a quick diversion and one you won’t easily forget. 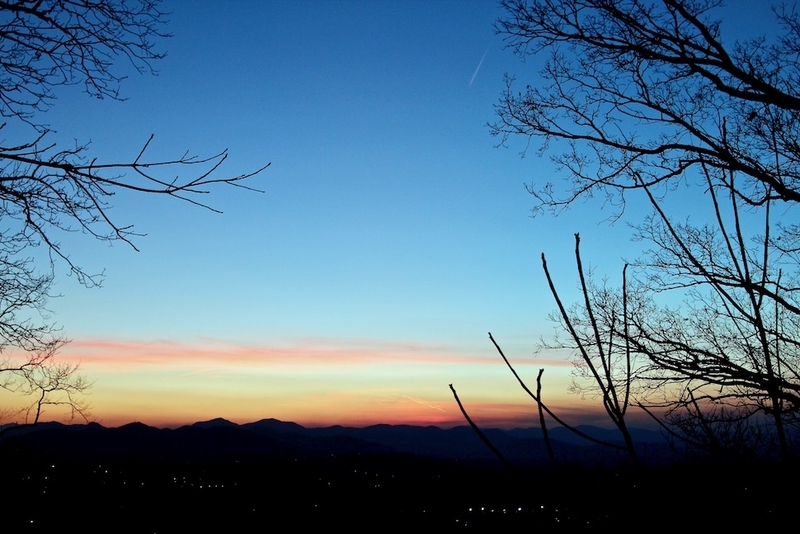 378 Town Mountain Rd., Asheville, NC; no phone.